As part of the Auckland Fringe Festival, Proudly Asian Theatre presents the New Zealand premier of Roots [根], in association with Auckland Lantern Festival. Amy Weng caught the show at Uxbridge in Howick. Roots [根] will also play at Q Theatre from 1 – 3 March 2018. Howick is strange place, for someone who grew up on the North Shore. The highway heading out east stretches so long and continuously that you would be mistaken for thinking that you were no longer in Auckland, but another city with its colonial sentiments and polite picket fences. But Howick is also a area in flux, and has been for the better part of three decades. As of 2013, a Council report showed that 39% of Howick’s population identified as Asian, with 49% of all residents born overseas. This should make Howick one of the most cosmopolitan neighbourhoods in Auckland, yet it remains a sleepy enclave of predominantly conservative temperaments and stratified interests. 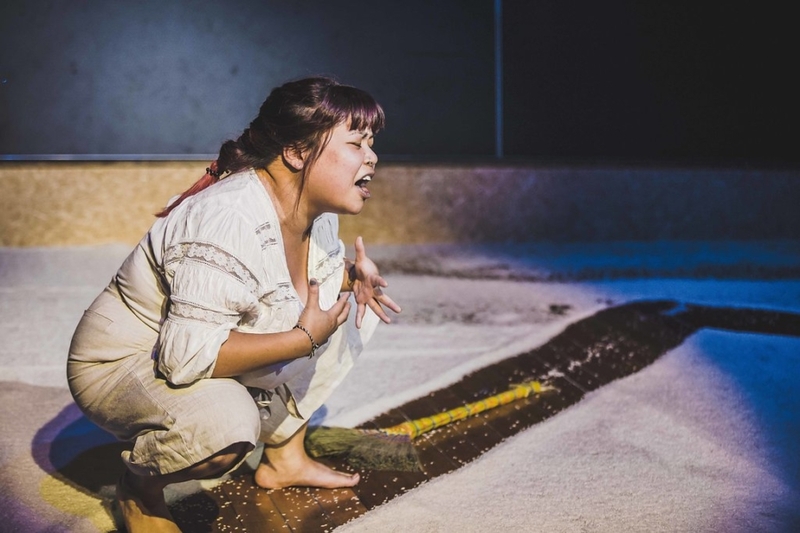 It is here that Proudly Asian Theatre have alighted to open their latest production, Roots [根], by critically acclaimed Singaporean playwright Oliver Chong. The original play is an ambitious, one man act telling the tale of the protagonist’s search for his roots. Proudly Asian Theatre have chosen to adapt this story, casting the charismatic Amanda Grace Leo as the now-female lead, Hsu Hsien. The team have also decided to translate the work into a bilingual English/Mandarin play, surtitled in English and, surprisingly, traditional Chinese. Roots [根] presents the intensely personal journey of Hsu Hsien, who decides to travel to Taishan (Toishan) in search of her ye-ye’s long lost daughter and the potential to reconnect with her heritage. Armed only with a few vague clues and implausible tales from her nai-nai, and no understanding of the local Siyi dialect, Hsu Hsien embarks on what should be a calamitous endeavour. Instead she lands in Guangdong, guided by her ancestors spirits and a motley cast of familiar characters. Along her journey Hsu Hsien paints a beautifully vivid picture of the Chinese landscape with the assistance of an ingeniously elegant set. The floor of the stage is laid with a carpet of rice, crunching underfoot like the dry mountain road, and hissing like the sway of crops or the premonition of heavy rainfall. It also serves as a powerful insight into Hsu Hsieh’s state of mind as she carves a path into her family’s history. Leo is a larger than life character, and she breathes into Hsu Hsien a fiery tenacity that is at once immensely likeable and achingly earnest. Leo also embodies 21 different characters, from the gracious hotel receptionist to the friendly Uncle Li, the hostile landlord to the austere and monosyllabic patriarch. These characters are at once intimately relatable and absurd, conjured by the actor from our collective memories. Leo, a Singaporean-New Zealander of Hainanese descent, has more than her work cut out for herself delivering these roles in Mandarin and English. In fact, it is the Mandarin passages where Leo’s physicality as an actor really shines through, in the expressive dialogue and punchlines delivered with verve. I can’t testify to the veracity of Leo’s pronunciation, not being a Mandarin speaker myself, but it is also the script’s linguistic duality that stops the play from really hitting its mark. When the actor switches between English and Mandarin, it’s not so much jarring as it becomes evident that the Chinese carries a fuller meaning, more poetic and rhythmically suited the emotional intensity of the play than the English translation, which lags with its wooden-ness and literal-ness. I was also left wondering why the scenes in Guangdong were not spoken in native Cantonese as intended, as this disrupts the logic of the show, and the authenticity that the play strives towards. New Zealand has a not insignificant Cantonese, as well as Toishanese, community so I don’t think it would be beyond audiences to grasp this. At times, this mental shift between languages becomes a visible effort for Leo – kudos to her for this ambitious undertaking. 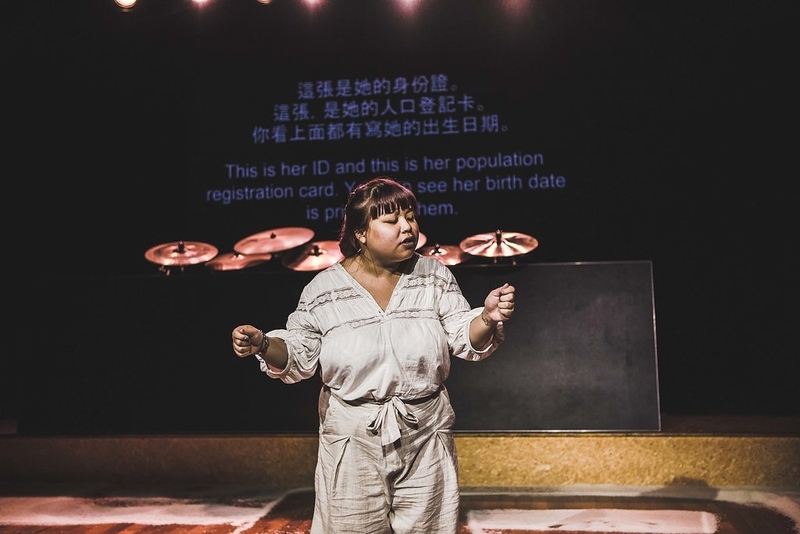 As anyone who is bilingual can sympathise with, it can be difficult to maintain fluency in two or more languages, especially in a nation that is systematically monolingual, and in this sense Roots [根] is a bold and necessary addition to New Zealand’s mainstream theatre. When the protagonist laments her inability to speak in the Siyi dialect, she hits on one of the most sensitive and visible markers of cultural identity. But audiences need not worry that the play will be lost in translation. There’s a peculiar joy at seeing pākehā faces comprehend and enjoy something that is an intrinsic part of your identity, and have it be a realistic representation rather than a parody. You can also understand the appeal of wanting to present a story like this in Howick. Beyond tapping into a large Chinese population, there’s a real potential to bring together audiences that might not necessarily do so otherwise, in an area where anything outside of the mainstream is rarely heard of. While Roots [根] is a quintessentially Singaporean narrative, there are enough similarities that the story finds resonance in Aotearoa New Zealand. Chong’s play has been described as a continuation of one pivotal idea within Singaporean playwriting and culture at large – namely that Singaporeans are ‘cultural orphans’ – a society composed of displaced and dispossessed immigrant with no homeland to return to, the figurative heirs to a fragmented culture. This anxiety still plagues many tauiwi and so we find ourselves drawn into Hsu Hsien’s journey, as she cast herself adrift in her hopes for reconciliation. Ultimately, Roots [根] acts as a salve to these anxieties about cultural belonging without being dogmatic. It also promises greater things to come from Proudly Asian Theatre, a company that isn’t afraid to make work that can affect real social change.